To help find answers the US government brings in a linguist, Dr. Louise Banks (Amy Adams), to try communicating with the aliens. As the film opens viewers see a short sequence of scenes detailing the birth of her daughter and her daughter’s death as a teenager due to cancer. This sets the stage for themes of grief and loss as the story unfolds. 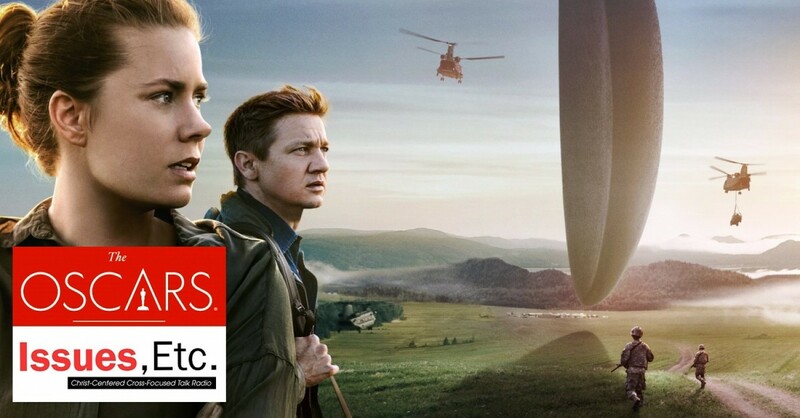 Along with these themes and an ominous sense of foreboding, Arrival seems to teeter on the precipice of dystopia and an impending doomsday apocalypse. This may prompt Christian viewers to think about the doctrine of The Last Day and the Return of Christ Jesus to judge the inhabitants of the Earth—the living and the dead. 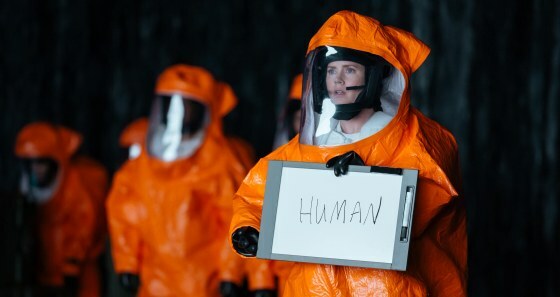 In recent years, fear of the end or fear of the last days is a common film trope and Arrival plays into this. Dr. Banks, physicist Dr. Ian Donnelly (Jeremy Renner), and Colonel Weber (Forest Whitaker) all work in their own way to stop what they believe will be an apocalypse. 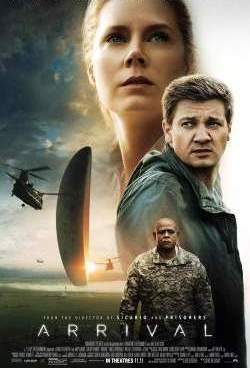 If you set aside Arrival’s storyline for a minute and dig into the western/Christian theological idea that this film and other films in the alien arrival genre are drawing from and riffing on—the Return of Christ Jesus on The Last Day—the Christian question is: Can we stop The Last Day? Most of these films present a scenario where humankind can stop ‘The End’ from happening. However, Scripture teaches the opposite. Christ will return at His appointed time and nothing but the mercy of God the Father slows that event. As St. Peter teaches, “The Lord is not slow to fulfill His promise as some count slowness, but is patient toward you, not wishing that any should perish, but that all should reach repentance. But The Day of The Lord will come like a thief, and then the heavens will pass away with a roar, and the heavenly bodies will be burned up and dissolved, and the earth and the works that are done on it will be exposed” (2 Peter 3:9-10). Arrival provides plenty for viewers to chew on. The alien language, for instance, changes the one who learns it. This may remind Christian viewers of the way the Word of God has efficacy to change people when they hear it. As St. Paul says “Faith comes from hearing, and hearing through the word of Christ,” (Romans 10:17) this is the Holy Spirit at work via the external Word altering the heart, soul and mind of a person giving the gift of faith, repentance, and trust in the LORD. In Arrival, the change that occurs revolves around the cognition of time. This also gives viewers some interesting things to contemplate. One of the characters ends up knowing future events and, for the good of humanity, must confront the choice of whether to embrace those future events even though it will involve personal suffering. This is like Christ in the Garden of Gethsemane praying to His Heavenly Father, “My Father, if it be possible, let this cup pass from me; nevertheless, not as I will, but as you will” (Matthew 26:39). One last thought connected to this: for all its cerebral and emotional musings Arrival makes the point that suffering in the body is not without its benefits to others which is a great thing to contemplate in a world that desires to evade personal suffering. In addition to its nomination in the Best Picture category Arrival is also nominated in the Best Director (Denis Villeneuve), Adapted Screenplay (Eric Heisserer), Production Design, Film Editing, Cinematography, Sound Editing, and Sound Mixing categories.